Ben Homewood began his music writing career at The Fly, where he became deputy editor, before moving to NME as reviews editor. A new music expert, he has curated stages at The Great Escape festival for The Fly and Music Week and was heavily involved in organising The Fly Awards in 2014. He works across all Music Week events and oversees the magazine's new music and sync content. As a freelance writer, Ben has written for titles including The Guardian, NME, Red Bull Music, BBC Music and BEAT. 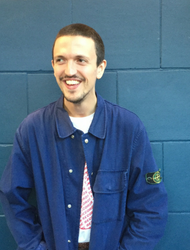 Away from writing, Ben has worked with labels including Polydor and Bella Union and, as one half of independent promotion and management company BONE, he co-manages Blueprint Blue and puts on DIY and punk nights around south London.